There are a million reasons why Sophie Turner loves her fiancé Joe Jonas, but keeping secrets isn’t exactly one of his strengths. The Game of Thrones actress appeared on Good Morning America Tuesday with her costar and BFF, Maisie Williams, and the discussion soon turned to the much-anticipated finale of the hit HBO show. In addition to the NDA, Jonas also had to refrain from snapping photos on set as an extra precaution to make sure that the secrets of the finale didn’t get leaked online. “He had to have full photo approval on set, his camera was covered up, everything,” Turner said. Even with all those extreme measures, though, the actress lovingly joked that Jonas will likely have a hard time keeping what he knows to himself. “You can give him a call, he’ll probably tell you everything,” she joked. The famously private actress has spoken out more freely about her relationship with Jonas in recent months, telling Rolling Stone last month that she didn’t have any hesitations getting engaged to the former boy bander precisely because of who he is. The pair got engaged in September 2017. They are planning a destination wedding in France this summer. 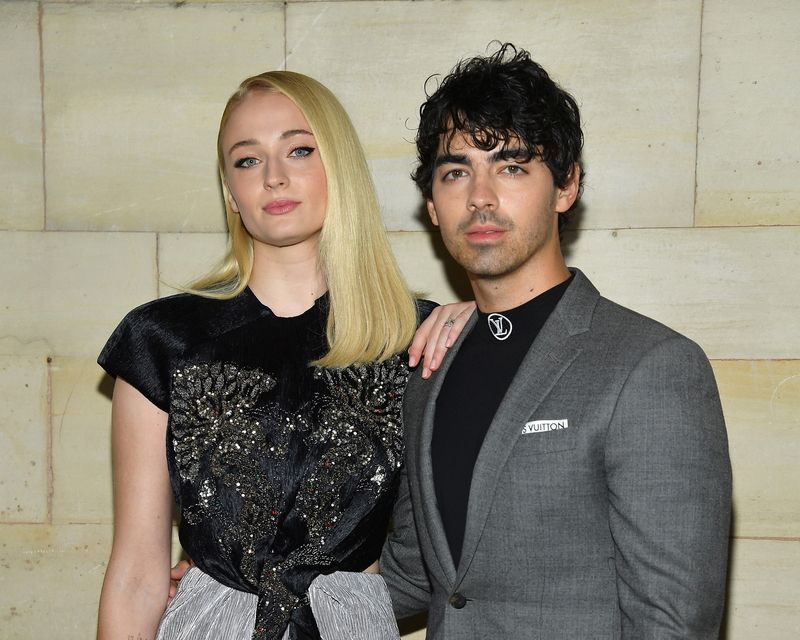 Be the first to comment on "Sophie Turner Reveals Joe Jonas Had to Sign an NDA Over the ‘Game of Thrones’ Series Finale"